The Code of Conduct had been entered into force with the aim to ensure and improve the quality of higher education. The Code of Conduct is a joint initiative of the Dutch government and the higher educational institutions regulating various aspects of their relations with international students, EU as well as non-EU, and improving student mobility. The umbrella organisations of higher education – the NRTO, Vereniging Hogescholen and the VSNU - have taken the initiative and jointly drawn up the Code. An independent National Commission has been appointed as a supervisory body. The Commission monitors the compliance of the articles of the Code of Conduct by the educational institutions. The Commission can conduct independent research on her own initiative and handles complaints of international students, institutions or the IND. In the decisions on complaints as well as in her research findings the Commission aims at improving the quality of the education which is offered to international students. This is achieved firstly by means of suitable recommendations and applying measures. Secondly the Commission has a more informal role meditating between institutions and students. The educational institution commits itself by signing the Code of Conduct to a number of rules favourable for the international student. The rules guarantee the provision of information, quality, educational offer, guidance as well as the recruitment, selection and admission of the international student. To clarify which institutions have signed the Code of Conduct the Executive Ministry of Education (also familiar as DUO) maintains a public register (you can find the list on the website of the Code of Conduct www.internationalstudy.nl). The educational institution has committed itself by signing the Code of Conduct to provide the international student with complete and reliable information about at least the educational offer, the quality of education, the language of the educational program and the diploma which could be achieved. The student should starts his/her study well prepared. Admission requirements need to be a reasonable guarantee that the international student will be able to follow the educational program and will successfully finish the course of study. For study programs in English an IELTS test with a minimum overall score of at least 6.0 is required for the Bachelor and Master levels. For preparatory education with a length of 6 up to 12 months, as well as for a pre-master with a length 6 months or longer a minimum IELTS score of 5.0 is required. For a preparatory course or a pre-master of 6 months or shorter a minimum IELTS score of 5.5 is required. Educational institutions are allowed to require higher scores. The Code of Conduct contains other tests which are comparable to the IELTS test. Institutions may only offer international students duly accredited degree programmes as defined in article 5.2 of the Code of Conduct. In addition institutions will ensure that teachers have sufficient command of the language in which the study programs are being taught. The IND requests of the institutions to monitor and register annually the study progress of the international student. The student needs to obtain at least 50% of the study credits per academic year. If the student fails to fulfil this standard, the institution has to inform the IND within a month. If an international student or other involved party, believes that a higher education institution has not acted in accordance with the articles of the Code of Conduct, the first step is to file a complaint with the competent authority of the educational institution. If the outcome is not satisfying the complaint could be lodged with the National Commission. The form is available on the website. It is important that the complaint is related to the articles of the Code of Conduct. 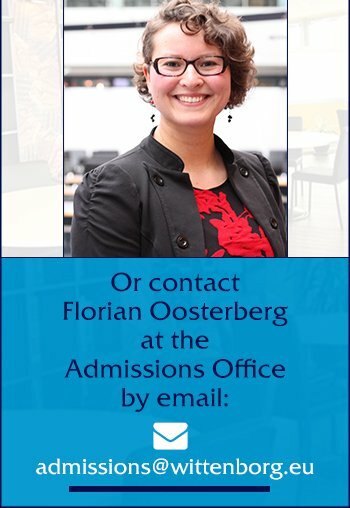 For questions or the full text of the Code of Conduct you can go to the website: www.internationalstudy.nl or you can send your question via e-mail: info@internationalstudy.nl.